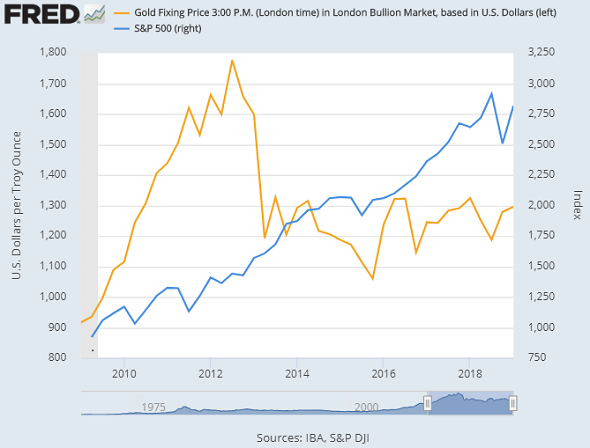 GOLD BULLION halved this week's earlier 2.0% loss on Friday in London, rallying within $1 of $1300 per ounce as world stock markets rose again. Commodity prices also gained, and borrowing costs for major-economy governments rose as bond prices slipped from this month's jump to multi-month highs. 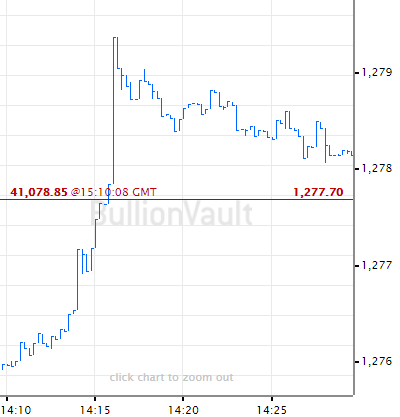 Bullion priced in UK Pounds recovered last Friday's finish at £993 ahead of this afternoon's third and final attempt by Theresa May to win Parliament's backing for her Brexit deal with the European Union. In US Dollar terms, gold prices this morning held 1.3% higher for the first quarter of 2019, trading $16 per ounce above December's finish. Coming after the US stock market lost 14.0% over the final 3 months of 2018, this now marks the first calendar quarter since summer 2012 when the gold price has risen as equities rallied. 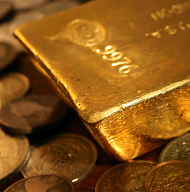 Wholesale gold prices in China today closed with a ¥5 drop for the first quarter of 2019 at ¥282 per gram. Compared against London quotes however, Shanghai gold held a premium of more than $14 per ounce at Friday's benchmark, a strong incentive for new imports into the metal's No.1 consumer market. Coming after the key gold-buying season of Chinese New Year, this month has seen the Shanghai gold premium average more than $13 per ounce, well over twice the average March premium of the previous 5 years according to data compiled by market-development organization the World Gold Council. 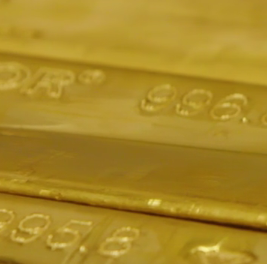 Russia's central bank added another 1 million ounces of gold to its bullion reserves in February, Bloomberg reports today, cementing its rise to No.5 in the world table of national gold holders after buying nearly all of Russia's domestic mine output last year – the third heaviest behind China and Australia. "Should [Moscow] reach the limit for domestic purchases, I think the central bank will start to import gold," reckons former CRB advisor Oleg Kouzmin, now economist at Renaissance Capital in Russia, citing the Kremlin's desire to diversify away from the US Dollar. A number of Italian politicians meantime continue demanding the sale or lending of gold reserves to help finance Rome's widening budget deficit. But the Eurozone's chief central banker Mario Draghi yesterday wrote to two members of the European Parliament, restating the ECB's position that nationalized gold reserves in the 19-country Eurozone are not open to governmental sale or control. Replying to MEPs Marco Zanni and Marco Valli – members respectively of the right-wing Lega and anti-establishment M5s parties, currently Italy's domestic coalition government – "both the ECB and the [national central banks] enjoy independence in all their actions related to holding and managing the official foreign reserves," Draghi says, citing 2 separate Articles from the European Union Treaty and 2 from the Statute of the European System of Central Banks.